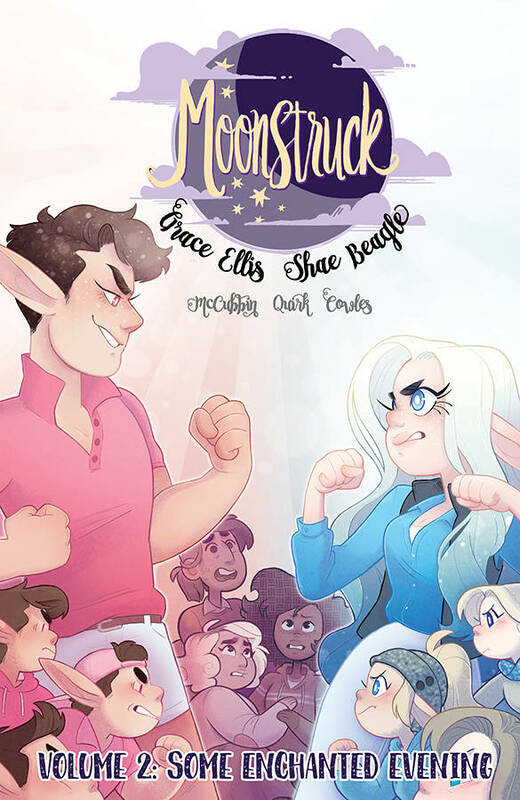 Moonstruck Vols 1 AND 2! 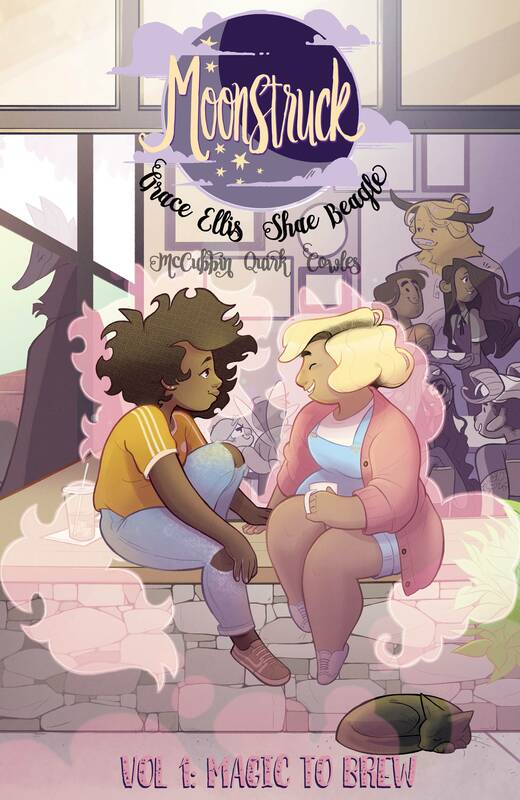 Werewolf barista Julie and her supernatural friends try to unwind at a party, but a conniving fraternity of fairy bros has other plans for our heroes. With one of their friends trapped in the frat house and the winter solstice (a notable night of magical mischief) looming ever closer, it’s up to the amorous werewolves and gregarious centaur to save the day! Talking with the MOONSTRUCK Creative Team!